What do you do when you find out that the movie you love was created by someone terrible, or someone who did terrible things? Or someone you just don't agree with? This subject has been fascinating me and twisting my conscience into knots for years. I started giving it even more thought after I listened to the commentary track on Deux Hommes de la Ville, which was written and directed by Jose Giovanni. The movie is about a reformed criminal that's hounded by a relentless cop who doesn't believe in redemption. It's a great movie with a powerful message about the flaws in the prison system and the inherent inhumanity of the death penalty. But according to the commentary track, Jose Giovanni was a pretty despicable guy. You can look him up on Wikipedia if you want, but if you're the type of person who can't watch a movie after they've learned bad things about the filmmaker you might want to steer clear of his biography. At the end of the commentary track, the narrator, Jean Gabin biographer Charles Zigman, informs the listener of Giovanni's transgressions and then poses the question: how do you feel about the film now that you know? So after watching this movie that I absolutely adored-- not just because it was entertaining, but because it echoed my own beliefs about the morality of the prison system and capital punishment-- I find out that the writer was a despicable person and the star didn't believe in the message that had resonated so deeply with me. How do you feel about the film now that you know? Here's the thing. I still love the movie. And I don't know how I feel about that. Where I stand on this whole issue varies wildly from case to case. When I was little, my parents were active supporters of the Brady Campaign and, subsequently, not the biggest fans of Charlton Heston. So by the time I turned 13 and started getting interested in classic movies, I already had a pretty strong bias against him burned into my brain. In this particular case, it's not even a matter of someone being a bad person *objectively,* it's a matter of them doing things or supporting causes that don't align with my own personal values. It's actually very similar to Delon and the death penalty --- Alain Delon might not be out there murdering people (actually, he might have. but that's another story) but most of his political views contrast sharply with my own, and therefore make it hard for me to actually like him as a person. 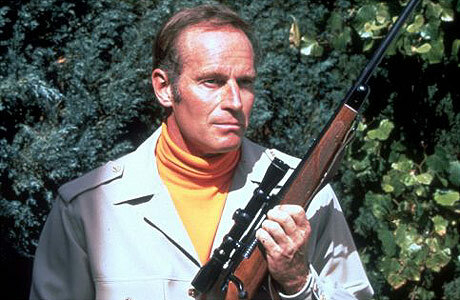 The difference here is that I knew I didn't like Charlton Heston, the person, before I ever saw his movies. I found out that Alain Delon was a bit of a xenophobic right-winger after I was already familiar with his films. In this instance (and almost every instance where the movies come before the research) I seem to give people a pass. Not as a conscious decision, mind you, it's my gut reaction. I still can't seem to stomach Charlton Heston onscreen, even though I've made exceptions for plenty of other conservative actors like John Wayne and Walter Brennan. I mean, Gary Cooper is one of my favorites and he was a friendly witness during the HUAC hearings. But back to Jose Giovanni and the issue of people who are actually guilty of criminal acts or objectively heinous behavior. Like Roman Polanski or Woody Allen. 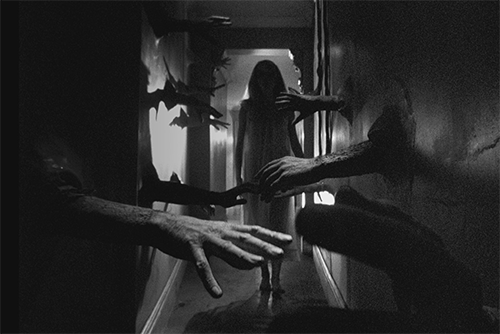 I love Roman Polanski movies, especially Repulsion and Rosemary's Baby. I can't imagine never watching either of those films again. Does that make me a horrible person? Sometimes I feel guilty about it, but I also don't know if I *should* feel guilty about it. Does a movie, or a book, or a piece of artwork, need to have been created by a morally upstanding person in order to be considered worthwhile? A very extreme and probably not-really-something-I-should-put-on-the-internet scenario that I like to debate with my dad is this: imagine a work of art is discovered and it's one of the most beautiful paintings the world has ever seen. It rivals the Mona Lisa in its beauty; despite the fact that there is no signature and art historians are unable to trace its origin, it becomes a worldwide sensation. It's purchased by The Louvre and people flock to see it for several hundred years. Then, at some point in the future, technology advances to the point where we're finally able to figure out once and for all who painted this masterpiece. And it was Hitler. Does the painting become less beautiful at this point? Do you feel guilty if you thought it was beautiful before you found out? Are you a bad person if you still think it's pretty once you know who painted it? How would society react to this discovery? It's a tough call, isn't it? My dad thinks that this definitely sullies the beauty of the painting, with one exception: if it was painted when Hitler was a teenager, before he started becoming the monster that he eventually turned into (although this brings up a whole other discussion about whether or not people are born bad, and -if they aren't- when exactly Hitler transitioned, or started to transition, into being a horrible person.) I personally am completely torn on the entire question (even though I'm the one who posed it to begin with!) I don't know if art needs to be connected to its creator, or if it should be considered a separate entity once it's been completed. Another factor that complicates my attempts to untie this moral knot is the passage of time and the immediacy with which we can retrieve and process information in the internet age. 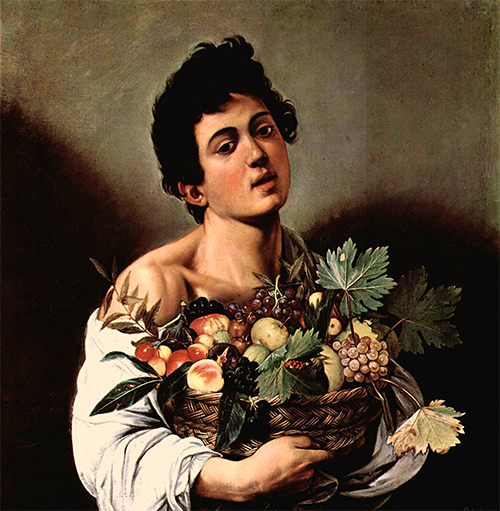 Take, for instance, the Italian painter Caravaggio. Not a great guy, he was apparently very temperamental, often engaging in brawls and, although it's not clear if it was intentional or accidental, he killed a man and was sentenced to death by the Pope. He fled Rome after the murder and went to Naples, where his skills --as a painter, not a murderer-- were still in high demand. The Church even commissioned several paintings from him. And now, some 400 years after his death, he is considered one of the greats. His introduction of a new, dramatic form of chiaroscuro is heralded in Art History classes. His masterpieces are hanging in the most prestigious museums in the world, including the Met and the Louvre. His sullied personal reputation is, essentially, a moot point. His works are now separated from the man and they stand alone as beautiful relics from our collective past. What will the world think of Woody Allen's movies 400 years from now? Will time continue to erase the misdeeds of human creators while the work survives? Or will the internet age preserve the personal failings of artists in such a way that they can no longer be separated? And do we even want them to be separated in the first place? Ideally I would love to experience a moment of clarity on this topic, but for the time being I remain thoroughly ethically confused. I guess at the very least, the fact that my enjoyment of movies created by morally questionable people bothers me is a sign that my conscience is still somewhat intact. The knot may never become untied, but at least there's a glimmer of hope that it could loosen. I have thought and thought about this! When the whole Chris Brown thing happened years ago, I was solidly in the side of "who would ever listen to his music?!" But then someone pointed out that I listen to John Lennon without any reservation and never listened to Chris Brown anyway. Where I stand right now is that I think of the art as its own thing- separate from the creator. So many amazing contributors to society have some ugly skeletons in their closets of varying degrees so, my CURRENT stance is to appreciate the creation even if I find the creator terribly flawed. Really great thought-provoking post! It's such a difficult thing. I love the movie Oscar -- it's one of my absolute favorite comedies! And when I first saw it, I somehow missed that it was directed by John Landis. In fact, it wasn't until after I'd seen it 3 or 4 times and thoroughly loved it that I realized who had directed it. And John Landis is the guy, who through negligence and flouting of industry rules about child actors, caused the gruesome deaths of Vic Morrow and two child actors on the set of Twilight Zone: The Movie. I love Vic Morrow; his TV show Combat! is my absolute favorite TV show of all time. I'd vowed never to watch one of John Landis' movies. And yet... I love Oscar so much, I own a copy. And fell so morally conflicted about it that I've now left this big, long comment on your blog post. Really great post, Kate! It definitely brings up my own thoughts about this subject. I certainly have problematic faves (most recent: MICHAEL CAINE! NOOOO!) who I would not stop enjoying even with their flaws. But, again, I have a just a small group (in the film-side of things) who I will not watch: namely Woody Allen and Roman Polanski. I've made exceptions only in the case of in-class viewing, but will not watch them for my own personal enjoyment. I totally get why other people still are able to watch and enjoy their work, and there is certainly no judgement from me for doing that. However, in these two particular cases I personally cannot. I have considered why these two, but not perhaps others, and I think it's likely because the protection of children and the rights of children are vitally important to me, and these men represent such egregious wrong done to children. Also, in the case of Woody Allen, I find his films (those watched for school) to have extremely toxic portrayals of women that make any viewing unsettling. Similarly, I don't see that there can be any separation (most particularly in Allen's case) of the art from the artist, because his work is so personal (often casting himself and current girlfriends even) that it is intertwined with his personal life. As for Polanski, I know that his films are beloved classics, but I cannot. I certainly feel empathy for the great pain he has experienced in his life, but he committed a horrific crime on a young girl and was never given tangible consequences nor has he shown any visible regret--instead digging into his own perceived blamelessness. It is just another example of the rights of children and victims of sexual abuse being denied justice. ANYWAY. I am sorry about such a long comment. You wrote a great and insightful post, which is what has led me to write Tolstoy over here. Part of this is because I spent last semester in an on-going debate with my film professor who counts both Allen and Polanski as favorite directors and informed me that my personal dislike for them was because "men are just able to separate art from artist; whereas, women cannot." He also tried to brush off Polanski's crime as "some problems that forced him to leave the country." UGHHH.